The two mile white sandy beach, once called Beachwood, saw its first summer cottages in 1865 about the same time that farmer George T. Emmons had “Old Shorty,” an intimidating bull that had the habit of unlatching the corral gate and bolting after the vacationers. That was then. Today there’s no farmer and no bull; however, there are many property owners who participate with the Town of Kennebunkport to maintain this beautiful stretch of Southern Maine coastline. 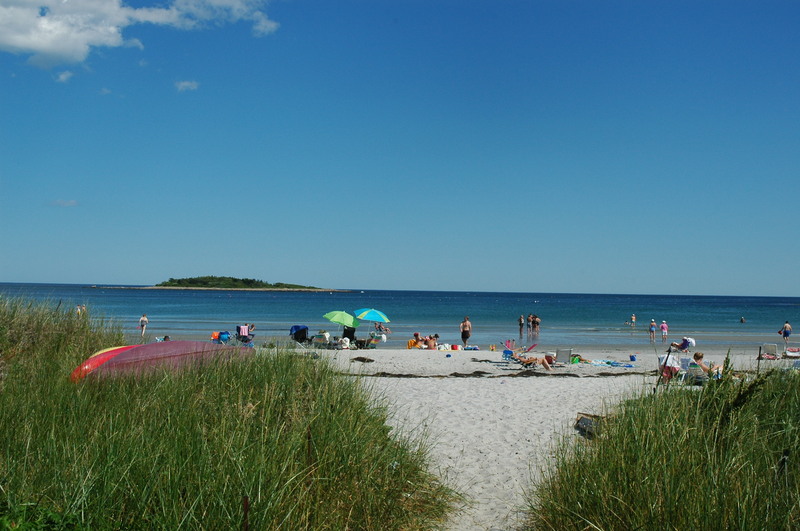 Goose Rocks Beach, whose current name comes from the barrier reef offshore (visible at low tide and called Goose Rocks) has nearly three miles of wide sandy beach. It’s great for walking, sunbathing, swimming or playing in the sand. There are also many tidal pools to look for small animals such as sea urchins, sea stars (starfish), sand dollars, or crabs. The beach also has spectacular views of islands and seals sunbathing on the goose rocks. During low tide the beach is as wide as it is flat, and has minimal wave action. There is no lifeguard on duty so swimmers should take care. The water is always cold (or ‘refreshing’ if you are a Mainer) with a high temperature in August of about 65F. As for beach guidelines, there are the standard ones about keeping the beach clean (what you bring, you take away with you) and being considerate of others, such as avoiding loud music or noise, keeping to the designated paths and respecting the private properties along the beach and roads. It is also important to respect wildlife and the dune grass. For instance, when the Piping Plovers are nesting (March through August) there will be signs posted to protect their sites. Seashells can be collected and taken off the beach; however, everything else needs to remain behind. From May 15th to September 15th, dogs are permitted on the beach before 8 AM and after 6 PM. All other times of year, dogs and their walkers can be on the beach at any time. 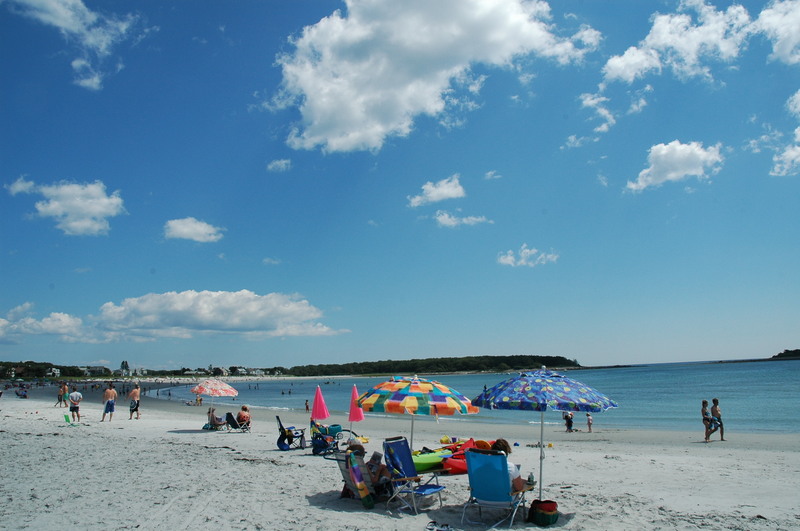 Goose Rocks Beach is about a 15 minute drive from Dock Square. Take Route 9 to Dyke Road. Turn right and carry on to Kings Highway which runs along the beach. Non-resident rates are $15 per day. A firm favorite with locals and visitors alike, parking is extremely limited during the height of the season so be sure to go early to ensure you get a spot. Unused parking tickets are non-refundable. Here at the 1802 House, we sell beach passes to our guests only at a discounted rate. We also provide chairs, towels and umbrellas to our guests so that they are able to enjoy the beautiful Maine coast while staying with us.